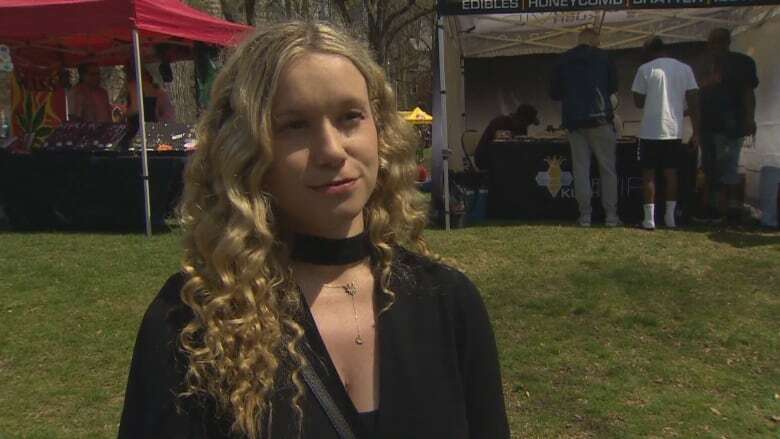 With pot on the verge of being legalized, dozens of marijuana entrepreneurs gathered in Queen's Park on Saturday to demand a level playing field for all in the industry. Saturday's Global Marijuana March was also aimed at persuading the government to pass an amnesty bill that would provide for pardons for those with criminal records related to pot possession offences. "With just the government stores operating, they are trying to shut down dispensaries. 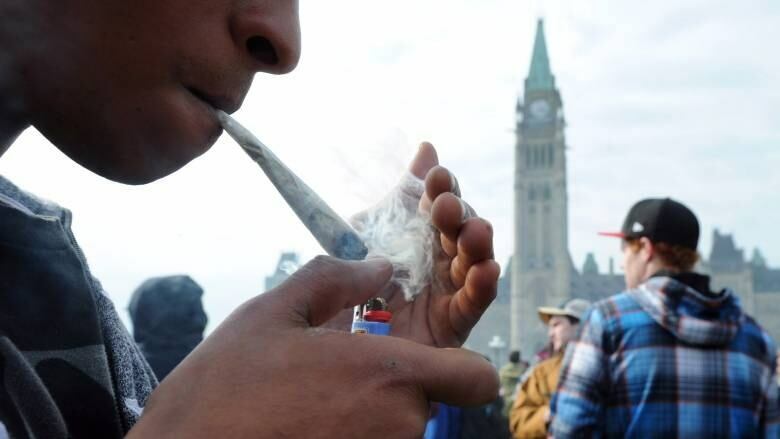 The new government model does not exactly give the market what it wants," marijuana activist Erin Goodwin told CBC Toronto. "There's edibles and concentrates and all kinds of other products involved in cannabis dispensing that the government's a bit slow on, so the black market that we've set up here is for filling those needs." Goodwin, who runs vapour lounges and dispensaries, said she's been arrested four times since legalization plans were announced. She said rallies like the one held Saturday serve as a confidence booster for some entrepreneurs. "There are a lot of young entrepreneurs who want to be involved in the industry," Goodwin said. "These new Ontario laws are going to have a bit of a monopoly that not everyone's happy with. "It's clear that this many people getting together publicly and making our voices heard has won our favour that the laws are changing because we demanded it. It's nice to see that more and more people can come out and be public, that we don't have to hide." On Friday, a group of Toronto lawyers, activists and entrepreneurs launched a petition calling on the federal government to grant amnesty to people convicted of simple cannabis possession charges. "We know that there are hundreds and thousands of Canadians today that have that on their record and those offences prevent them from having access to housing, from having access to credit, from crossing the border, from getting jobs, from getting volunteer opportunities," Annamaria Enenajor told CBC Toronto. "With the legalization of cannabis just around the corner, we want to make sure that those people are included in that calculus as well." 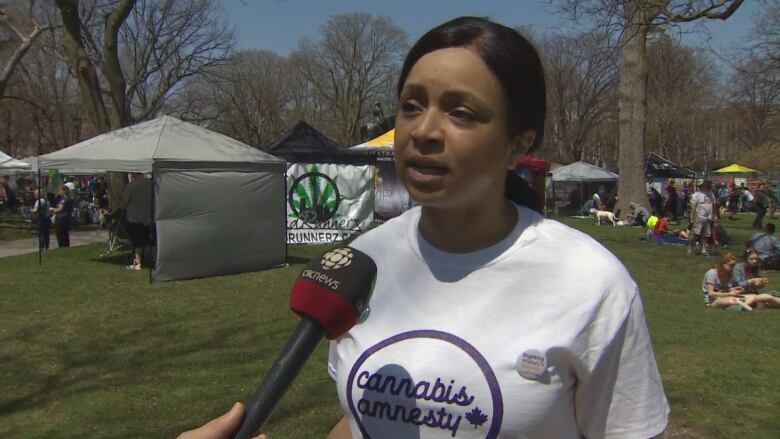 Enenajor, a defence lawyer and director of a campaign for cannabis amnesty, said the government's response thus far has been less than acceptable. "They are focused on passing the current legislation which is a very narrow legalization of marijuana, and implementation of a broad regulation scheme around marijuana sale and distribution consumption," she explained. "To them, the impact that these kinds of offenses have on people is really an afterthought. So they said, 'Let's just park it for now, and we'll deal with it later.' We're saying no, this needs to be part of the conversation now because it's affecting people's lives now." The Global Marijuana March, an annual event, drew hundreds of cannabis users and others from the cannabis industry. Enenajor said the aim is to collect 5,000 signatures by the end of May, and she thinks they have the potential to get over a million.